Thank you to Michelle Jackson for providing me with the book in exchange for an honest review. I have devoured each of Michelle's previous books, so I was very excited to get my hands in this. Like each of the other six, I devoured this book in two sitting. In 2005 six teachers and thirty-five students from Ben Head Secondary School are about to fly to Rome on the schools history tour. But as they arrive at the airport, they hear the news that Pope John Paul 2 is dying, and this could put they're whole trip in jeopardy. 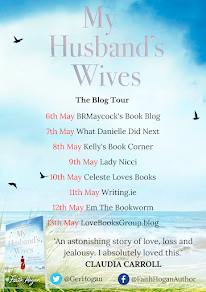 Lucy the oldest teacher going on the trip, is just coming out of a divorce, while Nell is playing carer to her Mother who has been unable to cope with life on her own, since Nell's father left. Then there's Cathy, who feels that her life with her husband and small twins is stuck in a rut and the school trip is a welcome break to her routine. Emily is also a teacher travelling with the school, who is desperately trying to find her birth mother after recently having a child of her own. Sebastian is married to Rena, but they might as well be on different planets, because both of them are as miserable as each other. The last teacher travelling to Rome is Conor, who is a bit of a ladies man, despite the fact that his girlfriend of ten years is working as a teacher on the other side of country, in Galway. The book follows these six characters as they take the students on a tour of Rome. It also follows each of their stories, as well as letting us get to know the students. I loved how the story flowed between the differnt stories and how at certain points in the book, it showed from the point of view of the students. 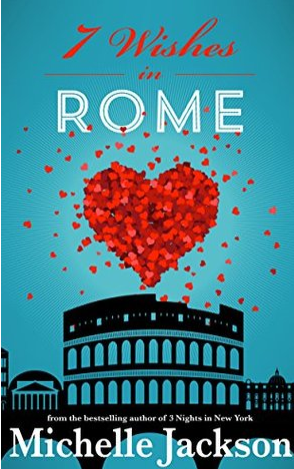 The book also gave a beautiful description of Rome and even though I've never been there I could see it in my minds eye. I also liked how the book jumped between Rome and Ireland, so you could see what was happening with the people that were left behind, like Rena and Annie. I loved each of the main characters equally. You really got to see a bit of their background and really get to known them, which isn't easy in a book with so many characters, but Michelle Jackson did it beautifully in this book. This book made me laugh out loud, but also had times where the story was more serious, and Michelle has balanced both of these beautifully. A book to get lost in. 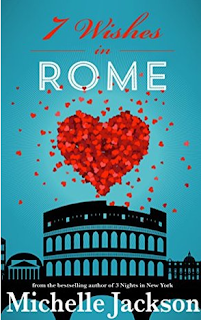 the perfect Summer read that will take you all the way to Rome! Beautifully written and unputdownable. Deserves nothing less than 5 stars!